Truth in advertising: Cop Car is almost entirely about a cop car. Parked on the outskirts of a wooded area, with no corresponding officer anywhere in sight, the vehicle is discovered by a pair of 10-year-old boys, Travis (James Freedson-Jackson) and Harrison (Hays Wellford), who stumble onto it while running away from home together. Finding the keys, and possessing maybe one-sixteenth of a lick of sense between them, they immediately decide to take a joy ride, heading out onto the highway despite barely being able to see over the dashboard. 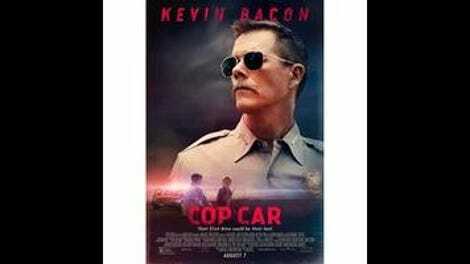 Meanwhile, the car’s owner, Sheriff Kretzer (Kevin Bacon), has to scramble to recover it before anyone else with a badge learns that it’s been stolen. Or, rather, borrowed. If that sounds like the premise for a goofy comedy, think again. 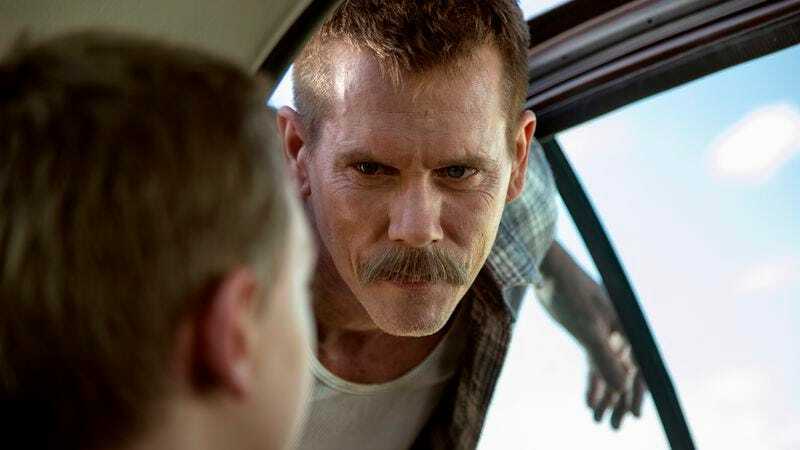 Co-written and directed by Jon Watts (who’s since been tapped to helm the next Spider-Man movie), Cop Car is a surprisingly nasty piece of work, more reminiscent of old John Dahl thrillers from the ’90s (Red Rock West, The Last Seduction) than of Let’s Be Cops. As it turns out, Sheriff Kretzer didn’t leave his car to take a leak, or even to score with some chick—he was digging a shallow grave some distance away, and the body he planned to dump in it is still in the trunk. Consequently, his efforts to retrieve the vehicle take on, shall we say, a certain urgency, which contrasts nicely with Travis and Harrison’s clueless euphoria behind the wheel. Initially, Cop Car feels a bit toothless, if only because it’s hard to believe that there’s any serious threat to the boys’ safety—American movies aren’t big on killing off cute little kids. Bacon partially solves the problem by delivering a performance that’s wholly devoid of empathy, making the sheriff seem like someone who’d stuff a newborn infant down a garbage disposal if that somehow served his interests. Much of the film’s anxiety level, however, actually derives from Travis and Harrison themselves, as they both seem like a Junior Darwin Award waiting to happen. There are loaded guns in the car, which they predictably treat like cool toys; watching them toss a pistol around with no conception of how a safety works is as nerve-wracking as watching a puppy scamper across terrain festooned with live land mines. For all its ghoulish black humor, Cop Car never quite revs up past about third gear. There are a couple of mildly clever and/or startling twists, including one involving a civilian driver played by Camryn Manheim, but the film’s screenplay (which Watts co-wrote with Robot & Frank’s Christopher D. Ford) is more a series of consecutive incidents than a tightening vise, and its final scene trails off in a way that suggests nobody ever managed to think up an ending. But Watts demonstrates a sadistic patience that’s refreshing, especially compared to the usual blockbuster breathlessness. This is a film that stops cold at one point for several minutes while Sheriff Kretzer tries and repeatedly fails to unlock a car door with a shoelace; its outlandish premise is rooted in credible detail, and even its most malevolent figure comes across as somewhat ineffectual. The Marvel Cinematic Universe—or whatever bloated franchise Watts’ Spider-Man reboot will belong to (who can keep track these days? )—could definitely use more of his sensibility.